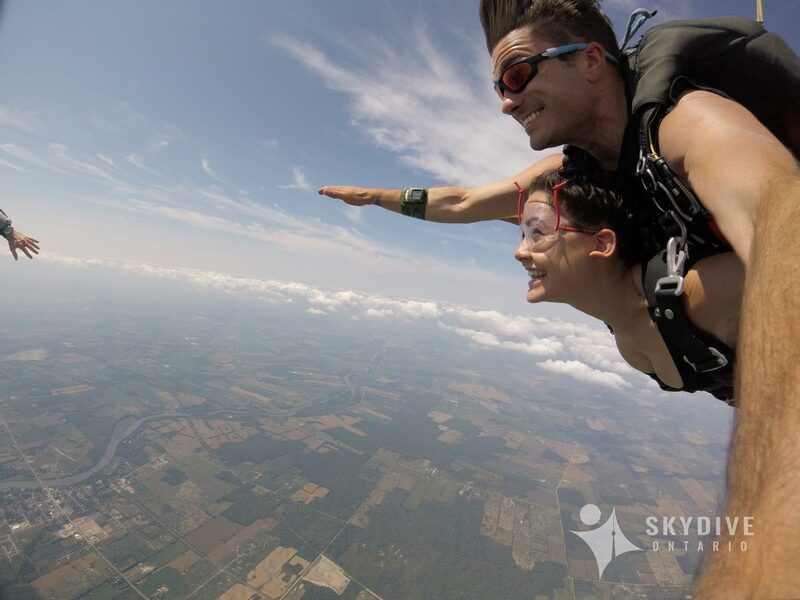 On arrival to Skydive Ontario sign up for your skydive photos and video package using our customer terminal. 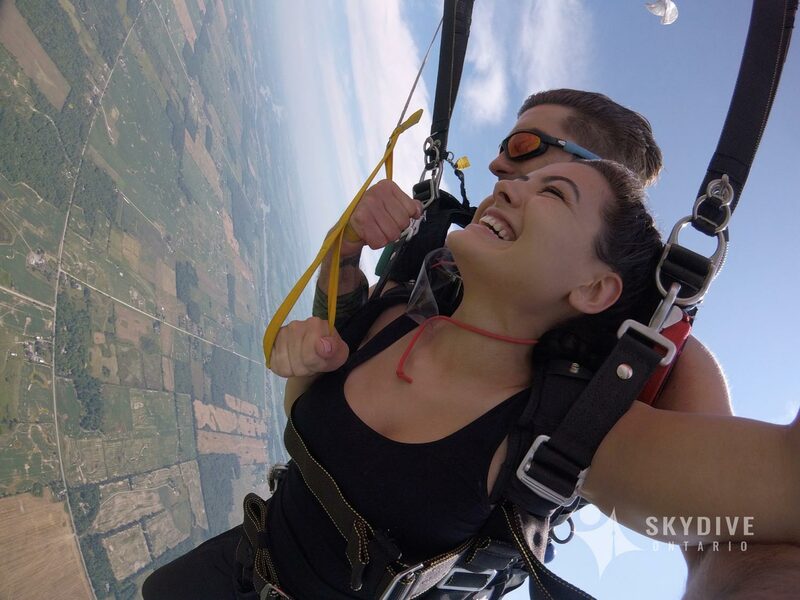 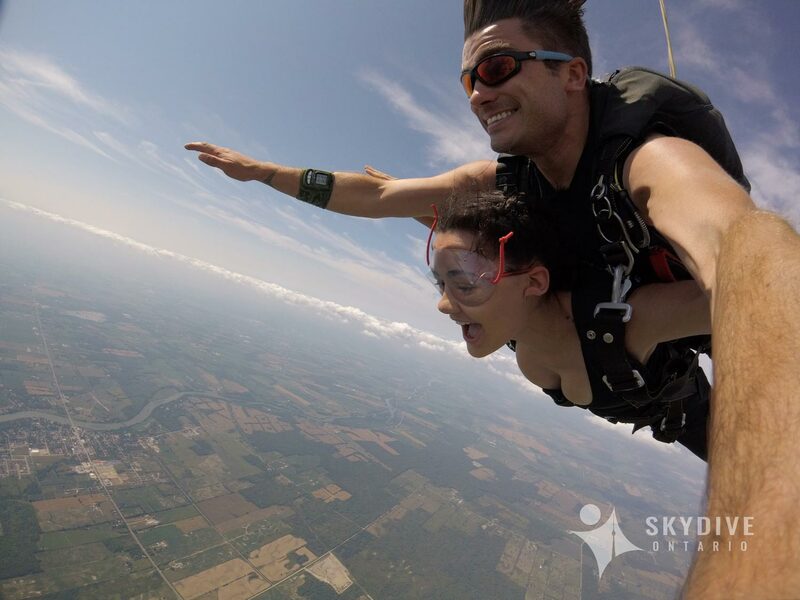 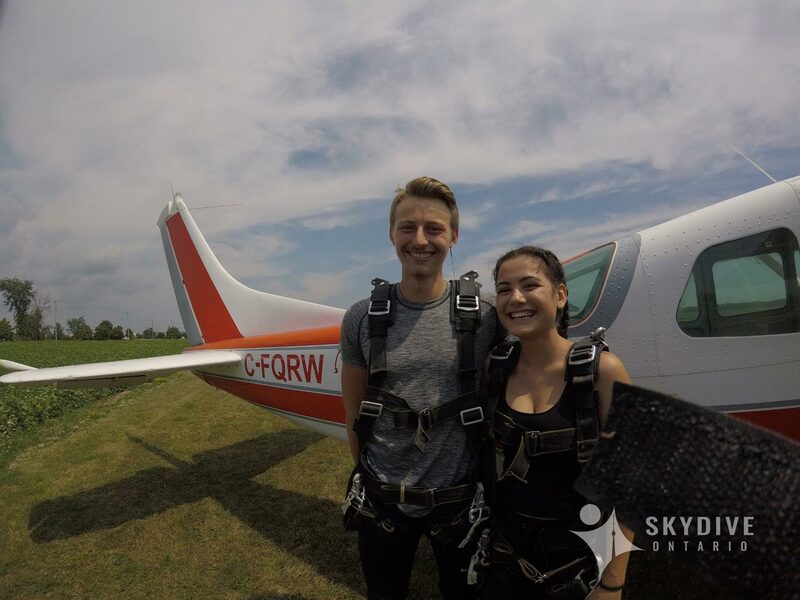 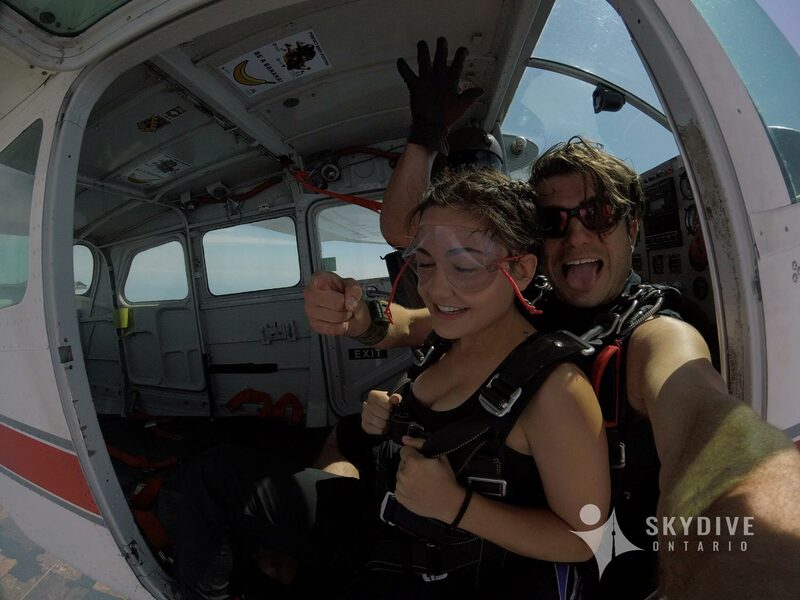 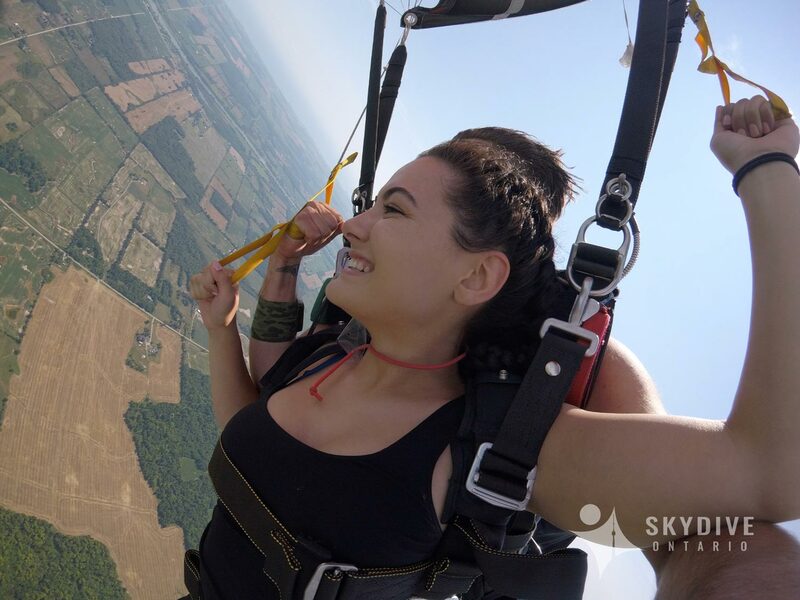 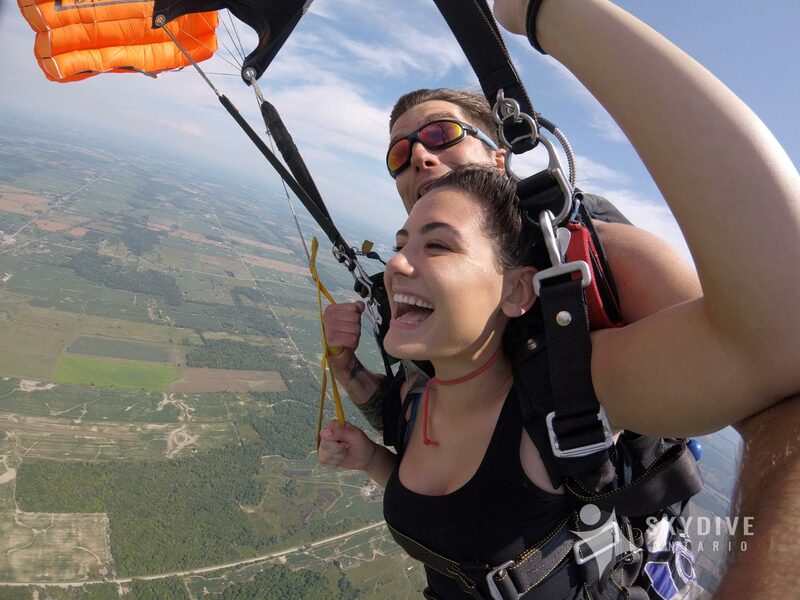 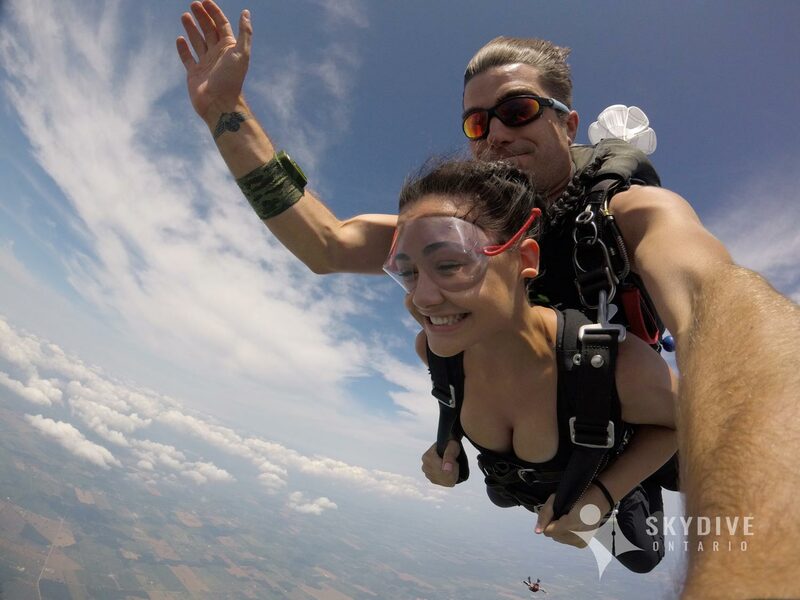 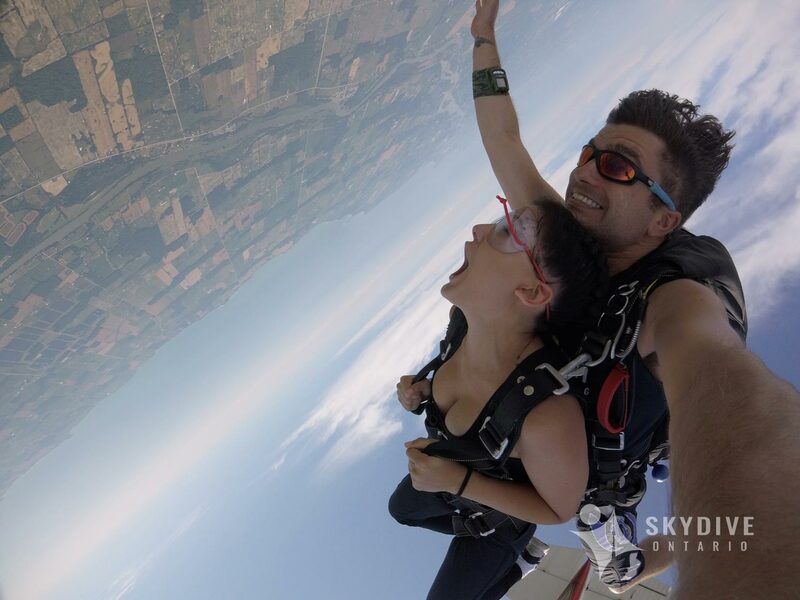 After your skydive you will receive an email from Skydive Ontario confirming your skydive video package. 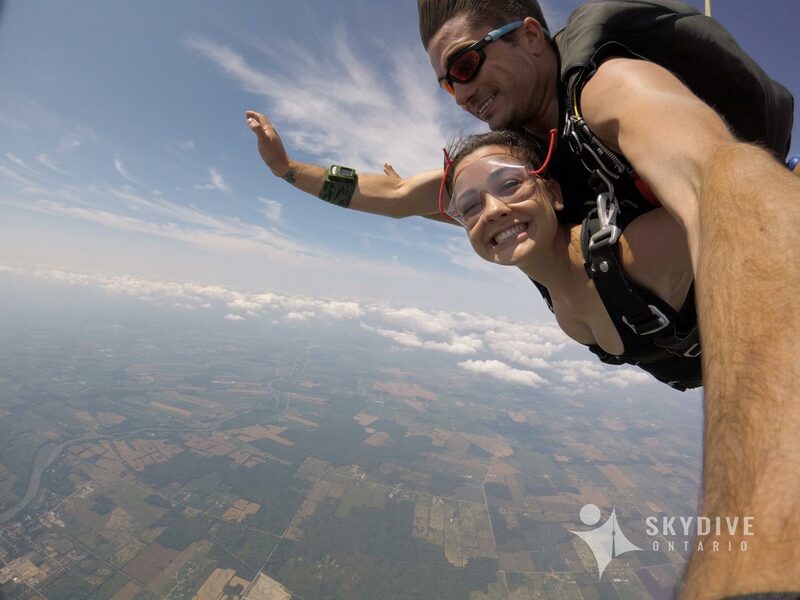 Receive a second email with a link to download your skydive media from our cloud storage drive. 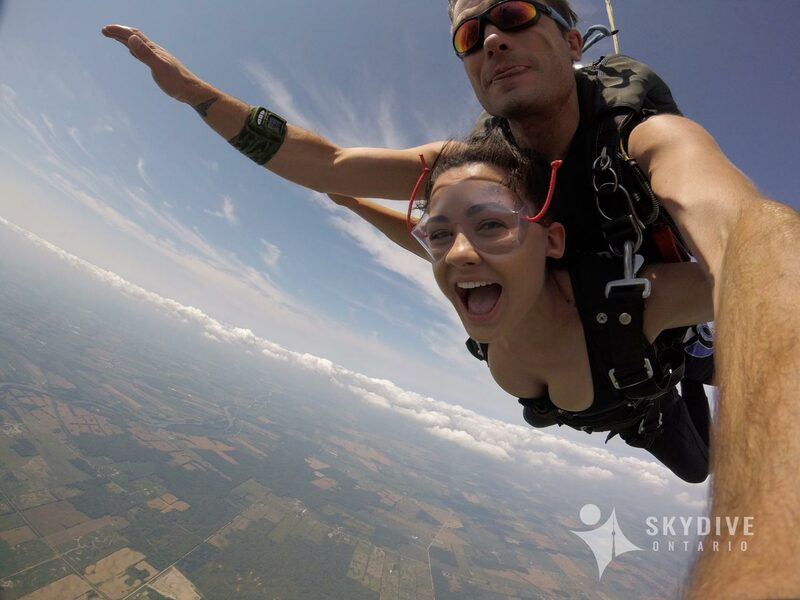 You have decided to jump out of an airplane, have you? 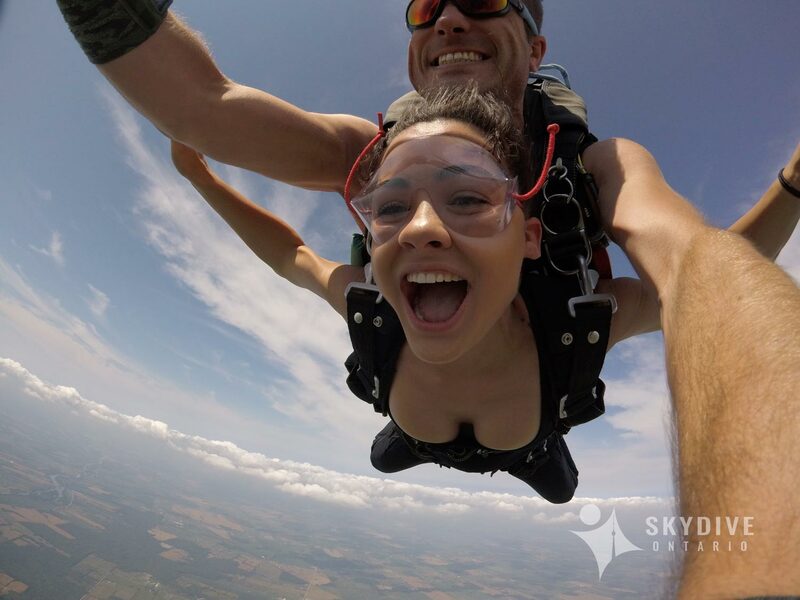 A decision you certainly will not regret. 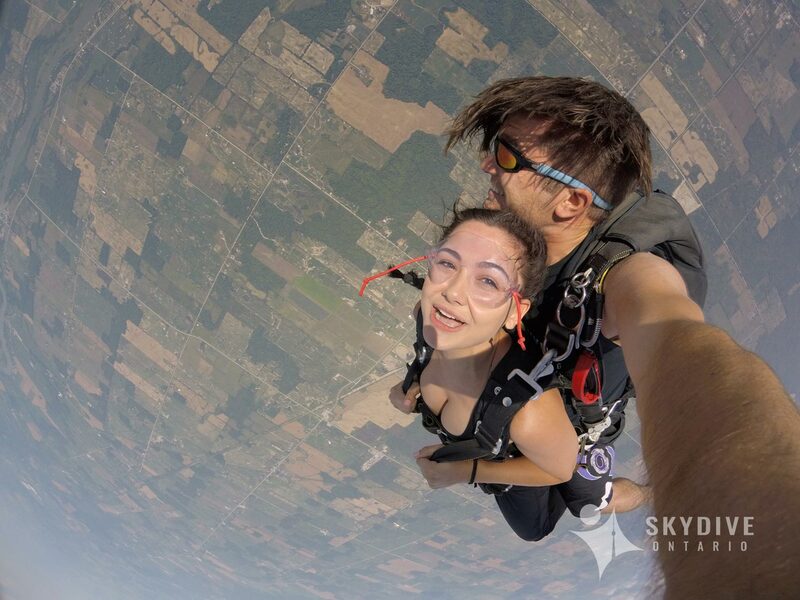 But, will you remember? 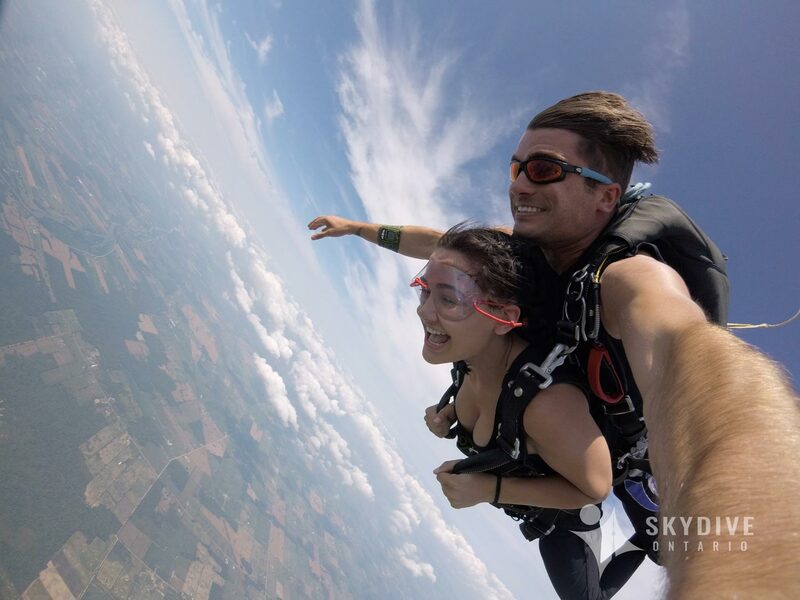 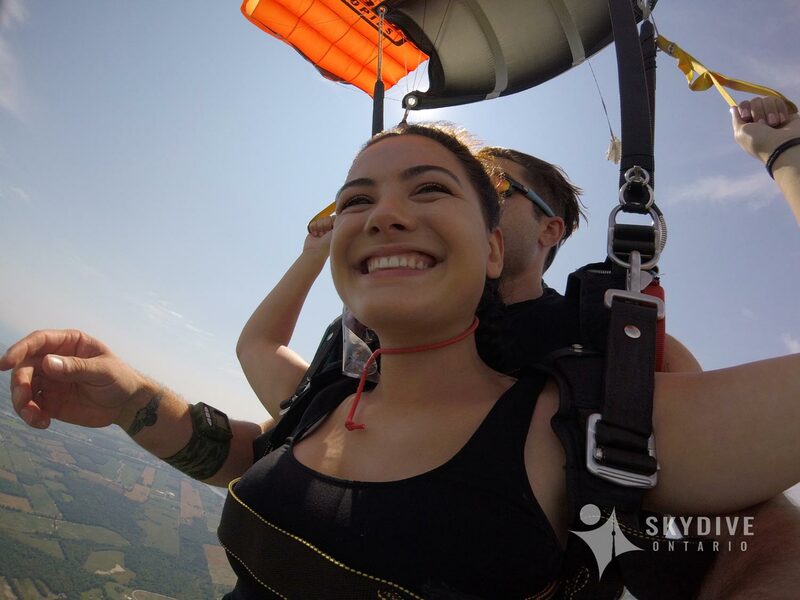 Have no fear skydive photos and video are here! 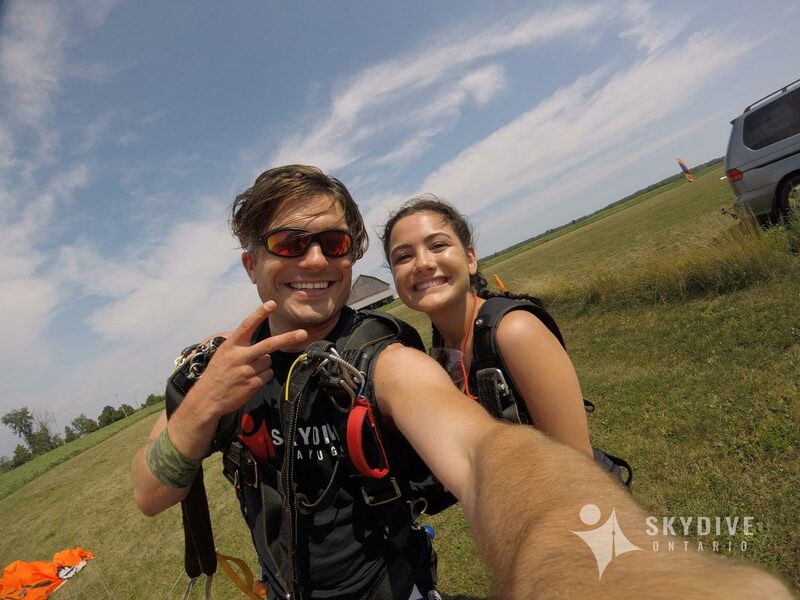 The decision to get skydive photos and video will also be a decision you do not regret. 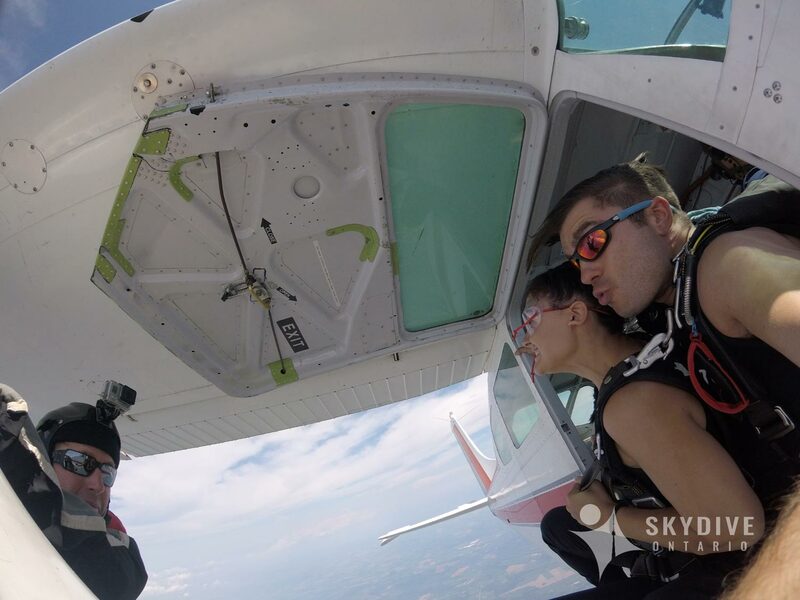 It all starts with a pre-skydive interview where you tell the world why you have decided to do something so badass! 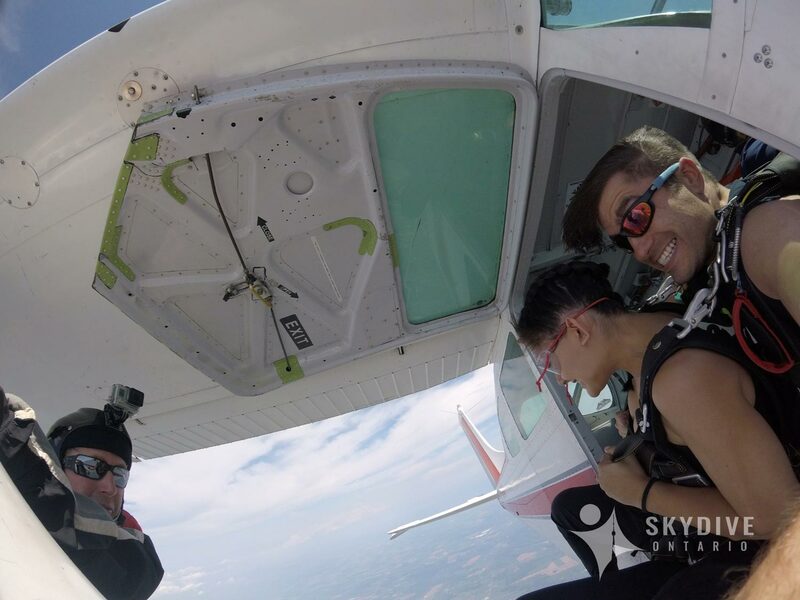 After the interview your video specialist will shoot a variety of media as you board the aircraft, climb to altitude, exit the aircraft, free fall, fly around under your parachute, and finish with a post-landing interview. 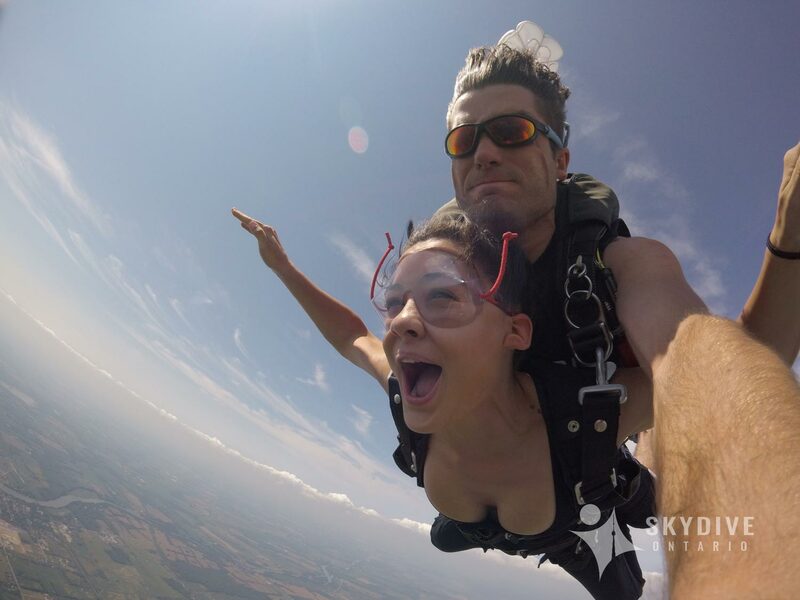 Freeze every badass moment in time with 70-80 photos of your skydive. 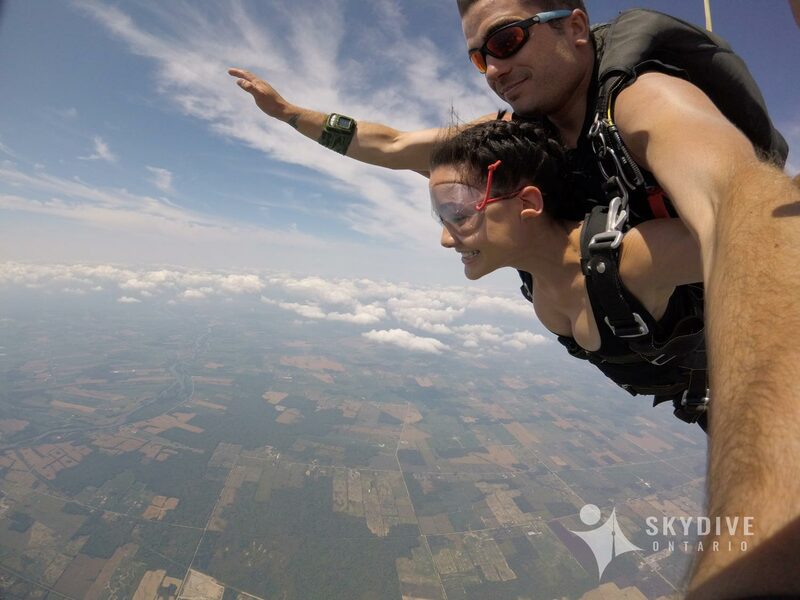 All of our videos are shot in 1080p and professionally edited off site by Skydive Media Solutions and its affiliates. 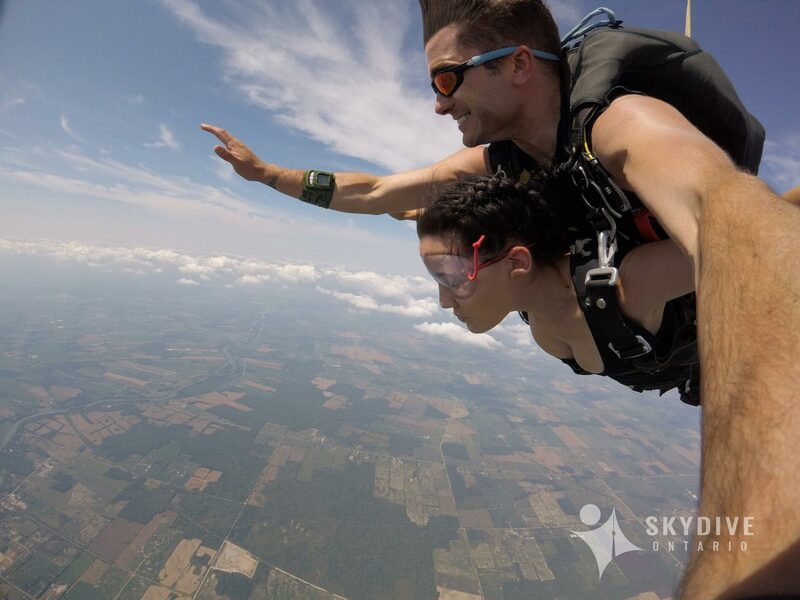 Your instructor will mount a cameras on his hand to catch every hair-raising moment of your jump. 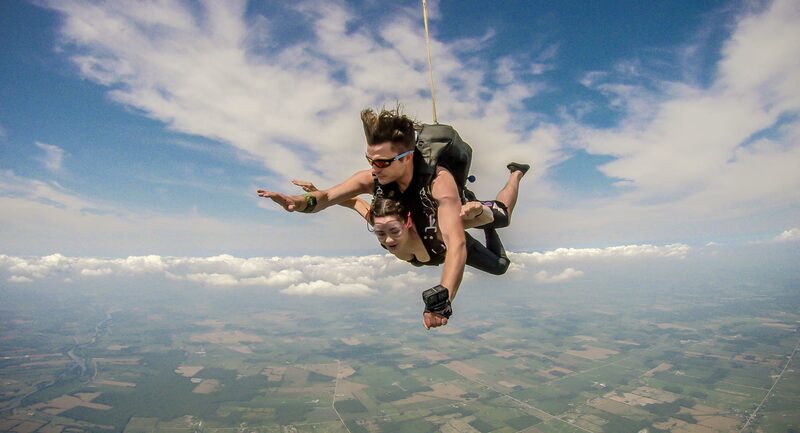 All of our videos are shot in 1080p. 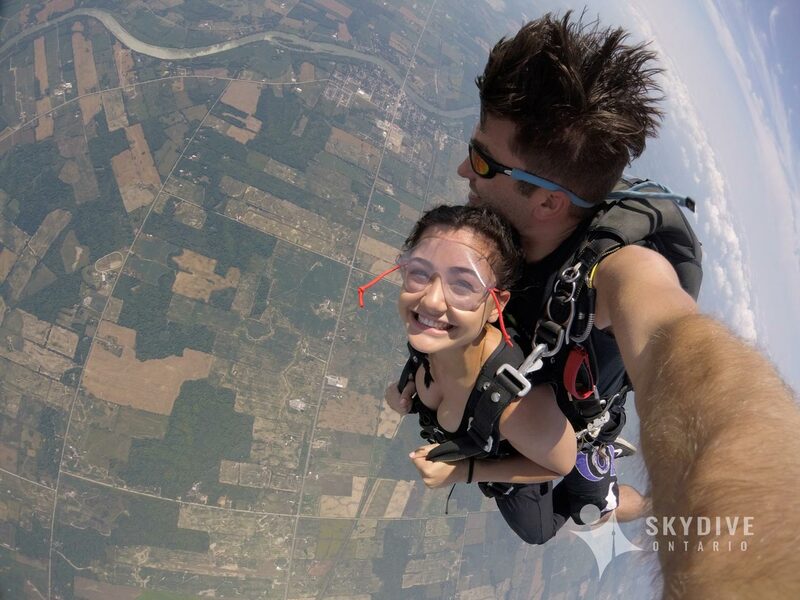 Why not 4K you might ask? 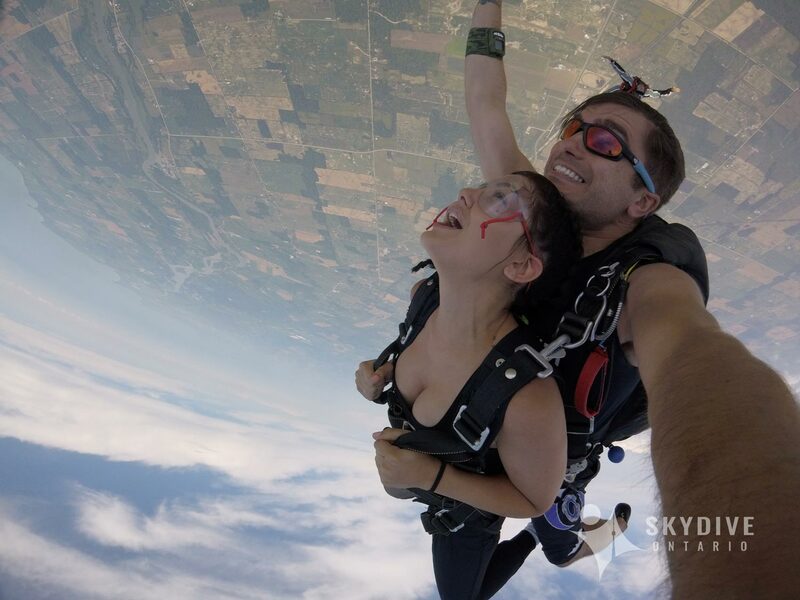 There are a few reasons. 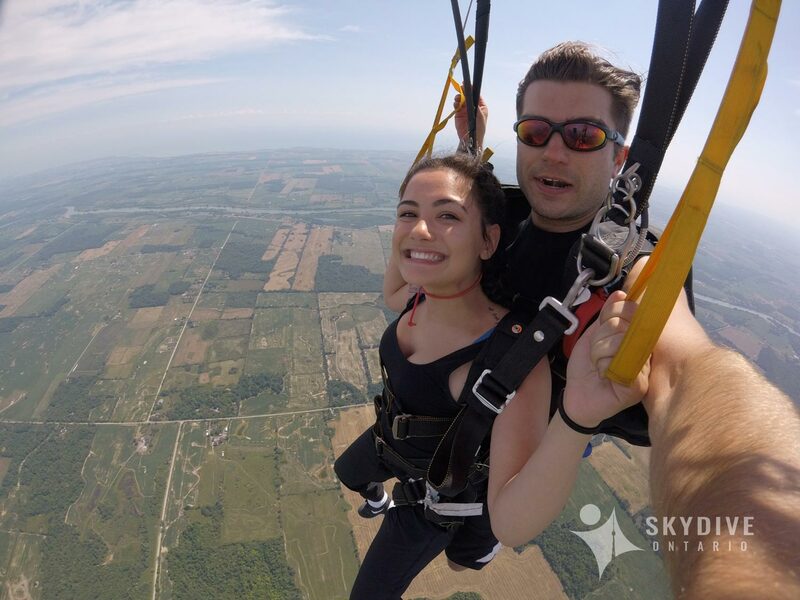 Skydive Ontario is located in a rural area and our ISP currently does not offer internet speeds capable of uploading enormous amounts of data in a timely manner. 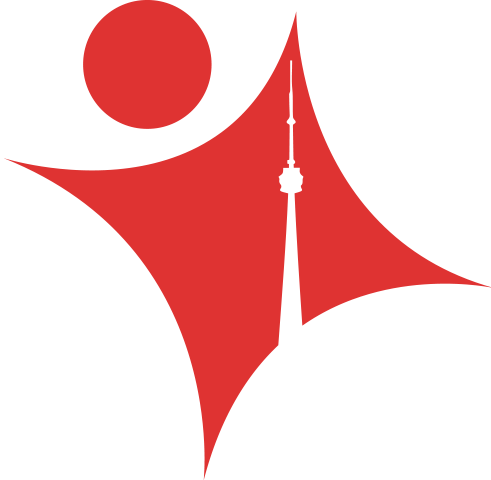 Furthermore, 4K monitors are required to make use of 4K video. 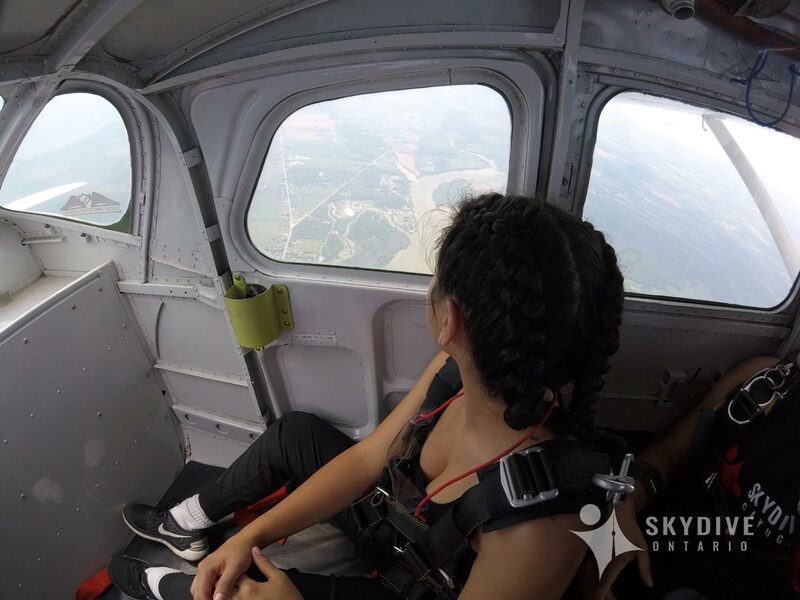 As our monitors, and our ISP speeds, catch up with the technology, we will slowly roll our video program in to 4K video. 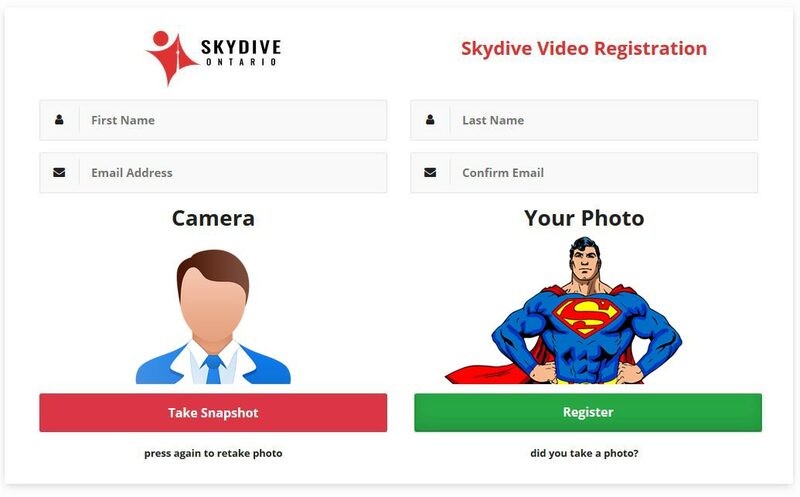 *Although you may have a link to your media delivered within hours of your skydive it may take longer for your media, primarily video, to be uploaded to the cloud as internet speeds at Skydive Ontario are not lightning fast, by any means. 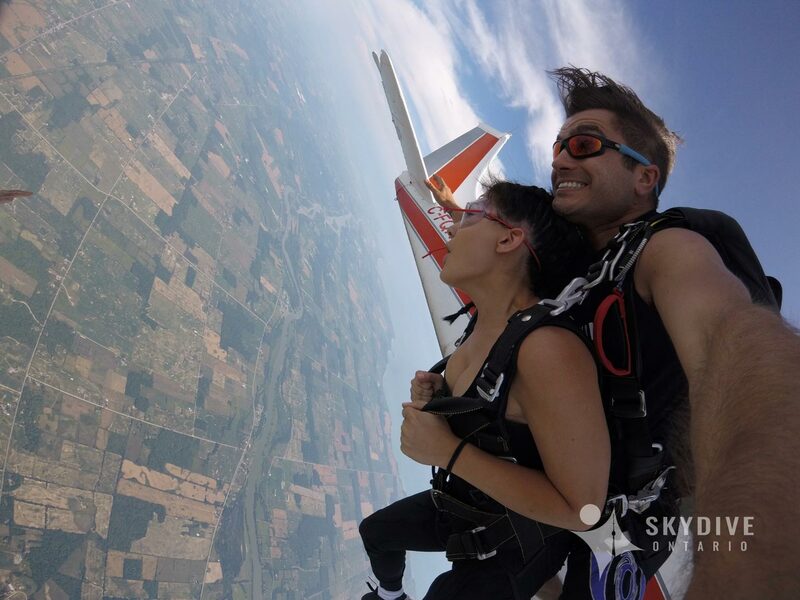 Sometimes it may take 24 hours to deliver a link to your media.